When it comes to web security companies, our experience has been that most of them don’t seem know and or care about security, which we think that goes a long way to explaining why web security is in such bad shape. 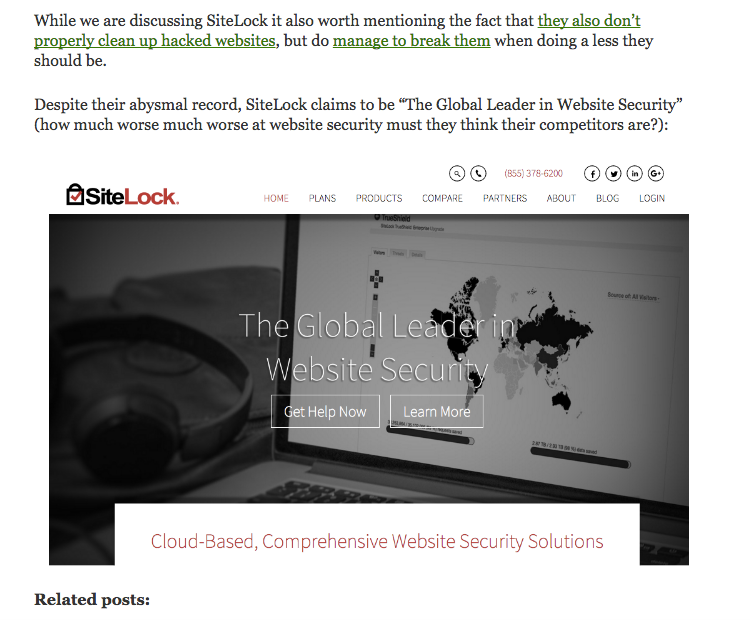 One company that fits that bill for that is SiteLock, as can be seen in just few of our previous posts on them, whether its them failing to properly clean websites, to claiming website was secure when it contained malicious code to compromise credit credentials, to falsely claiming that WordPress websites have vulnerabilities due not understanding how WordPress handles security. More recently SiteLock has sets itself apart from the average bad security company in our eyes, by combining that with activity that looks more like outright scamming. 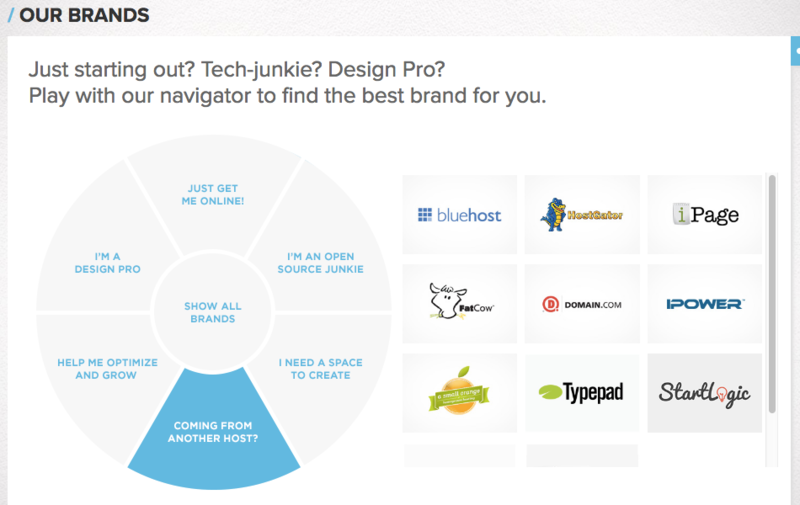 In looking into SiteLock one of the things that has stood out for us is that they have partnerships with with so many web hosts. Based on their poor track record when it comes to security we assumed that that the partnerships had to do with money being paid to the web hosts and not on those web hosts feeling that SiteLock providing a quality service. This seemed even more true as the complaints have piled up against SiteLock, which have frequently also cited their partnered web hosts. If it wasn’t about money, they easily could have found another security company to partner with that wouldn’t damage their reputation in this way. As we discussed yesterday, it turns out that part of the actual explanation for why some web hosts had partnered with SiteLock has a more troubling explanation. 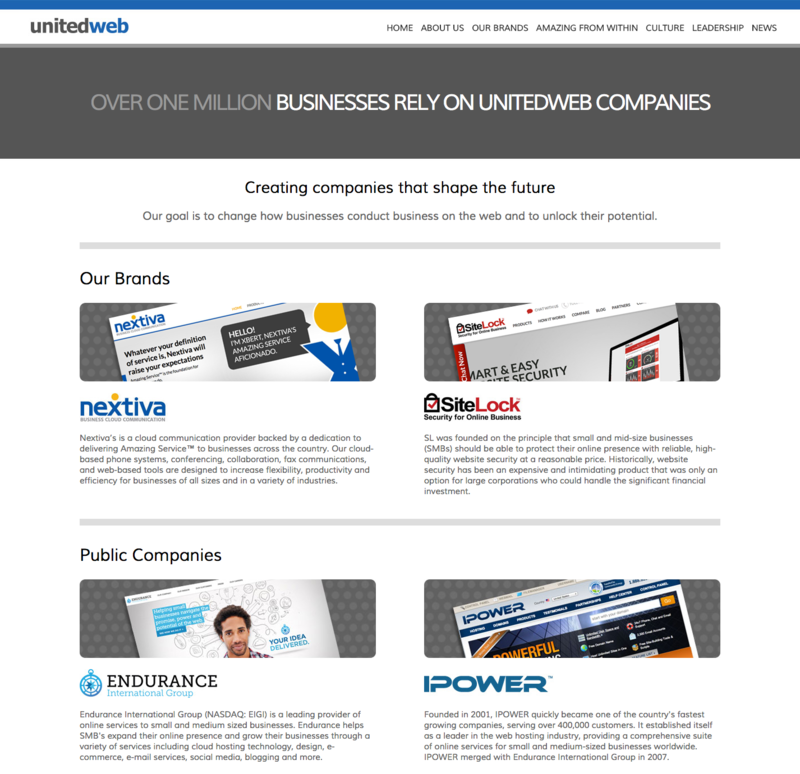 The CEO of Endurance International Group, which provides web hosting services under a variety different brand names (including A Small Orange, Bluehost, FatCow, HostGator, HostMonster, iPage, and IPOWER) is also one of the majority owners of Sitelock (a board member of Endurance International Group is the other majority owner along side them). The revenue share between Endurance and IBS for Sitelock has been set at 55%/45% in favor of Endurance. The web host would be getting $275 a year without having to do any work, versus the $131.88 they would receive for what they claim is their most popular shared web hosting plan at its normal price (for which they would also have the expenses associated with provide the web hosting). This also seems to go a long way to explaining why SiteLock’s services sometimes come with extremely high prices, since they are getting less than half of the fee being paid. Revenue share payments to IBS related to Sitelock totaled $5.4 million in FY14. 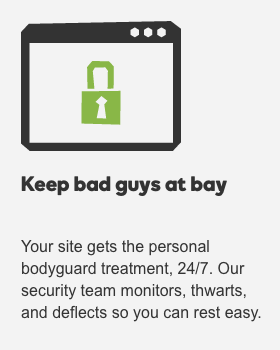 We were recently brought in to deal with a WordPress website that had been hacked multiple times and just re-hacked. In that type of situation one of the first things that should be done is to review the log files available for the website, since those are likely to provide evidence on how the website is being re-hacked and depending on how far the logs go back, how the website was originally hacked. One of the big problems we find in being able to review the log files of a hacked website, is that often times web hosts only store the log of HTTP activity for a short period, in some cases less than a days worth of logging is available. One of the better web hosts when it comes to this is GoDaddy. 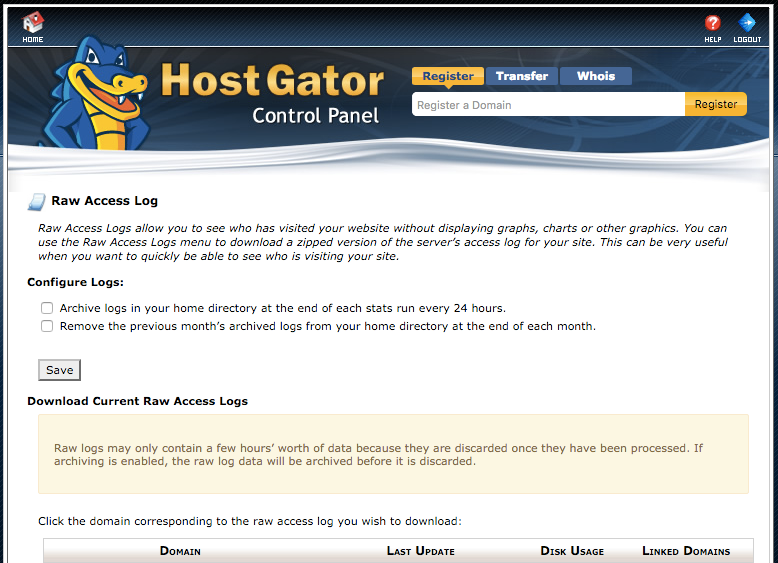 With their standard web hosting accounts using their own control panel, they store about a months worth of logging. When using the cPanel control panel instead, the log is stored for a shorter time period by default, but you can enable archiving, so we can at least make sure it stored for a longer period once we get started on the cleanup. 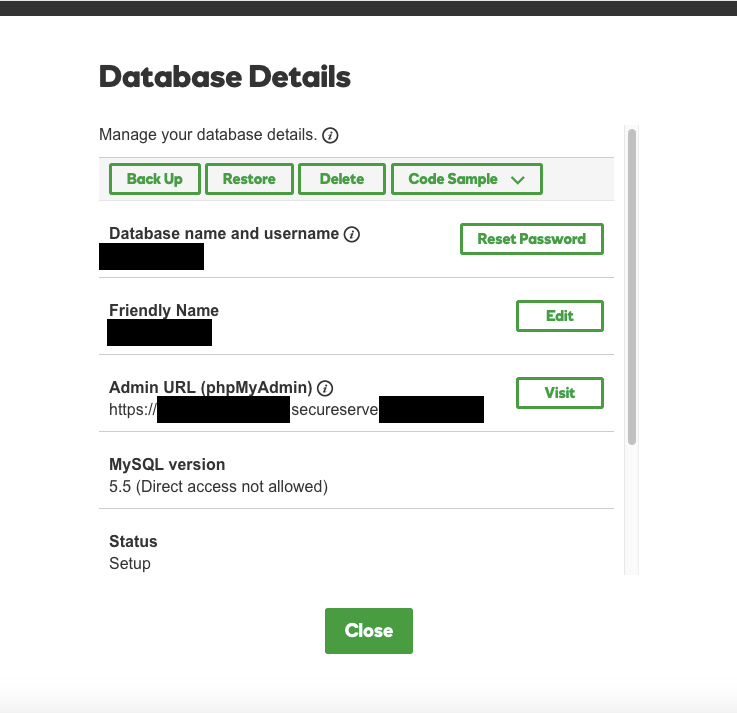 The website we are dealing with in this case though was in GoDaddy’s Managed WordPress hosting account, which we would find out when the client tried to get access to the log files, does not provide any access to the log files. We are puzzled that they manage to provide that in the standard web hosting accounts, but not not in what would seem to us to be a higher end type of account. The explanation for why they can not provide it, is also puzzling, as they say they can’t provide it because the website is hosted in a shared environment. 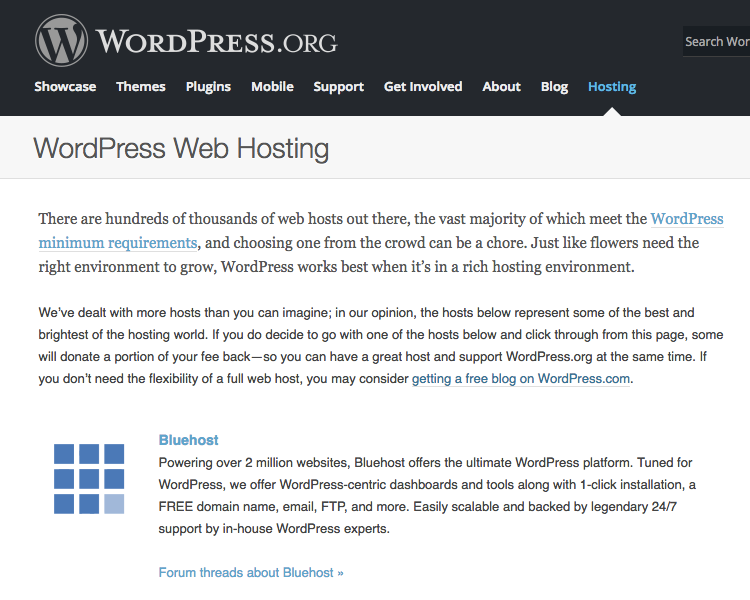 The other web hosting accounts are also on shared environment and yet they manage to provide them there. 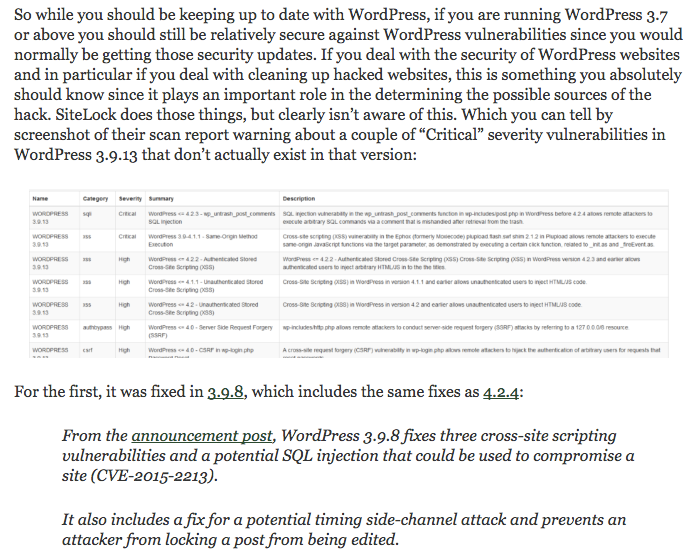 If you are concerned about security we would recommend that you not use their Managed WordPress hosting until they resolve this, since if you were to get hacked, you are going to be missing important information needed to properly clean it up (is worth mentioning that many companies that do hack cleanups either don’t know how to do things properly or are cutting corners and don’t review the log files like they should). Seeing as the website we are dealing with got hit multiple times while using this hosting service, their ability to actually protect the websites is is at least limited. If they were actually able to protect the websites, as they advertise, then there shouldn’t be any malware getting on the website that needs to be removed. We would also have wondered about the fact that the company SiteLock would be involved in doing hack cleanups on this service, when they can’t do things properly because the logs are not available, if not for the fact that we have seen that SiteLock doesn’t seem to seem to be interested in properly cleaning up websites and is known for taking advantage of their customers. But the reliance on the presence of the readme file was dangerous as it’s not uncommon for a site owner or web developer to remove unnecessary text files, like readmes, as part of a site cleanup. We have never heard of doing something like that, so we are not sure what the context is supposed be. But if they are talking a hack cleanup (they are a security company after all) that definitely wouldn’t be something you should be doing. With WordPress plugins you can clean them in several ways: upgrading them (all the old files in the plugin’s directory in /wp-content/plugins/ get deleted during that), deleting the plugin’s files and replacing them with a clean copy, or comparing the plugin’s files with a clean copy and removing any malicious code (which gives you the advantage of seeing if the hacker made any changes). Deleting the readme.txt files, without replacing them, wouldn’t happen with any of those. When you start messing with non-malicious files that can lead to bad things happening, like breaking the website, something SiteLock has managed to do in the past.